Applying to college can be both exciting and stressful. With so many colleges to consider and important deadlines to meet, daunting might be an understatement for the work ahead. Not to mention, the competition is fierce among the many highly qualified applicants applying to elite schools. But with the right approach and a better understanding of what makes a strong application, applying to college can be an empowering process—especially when the big envelope arrives in the mail. In the meantime, you have a lot to think about, so we’ve created an admissions “road map” that is designed to help you in applying to, and ultimately enrolling in, the college of your choice. Need help or advice on applying to college? Check out this episode of the YesCollege podcast. Scott was joined by Ashley McNaughton, founder of ACM College Consulting, LLC who had so much great information to share on the subject. Click here to view this episode’s show notes. 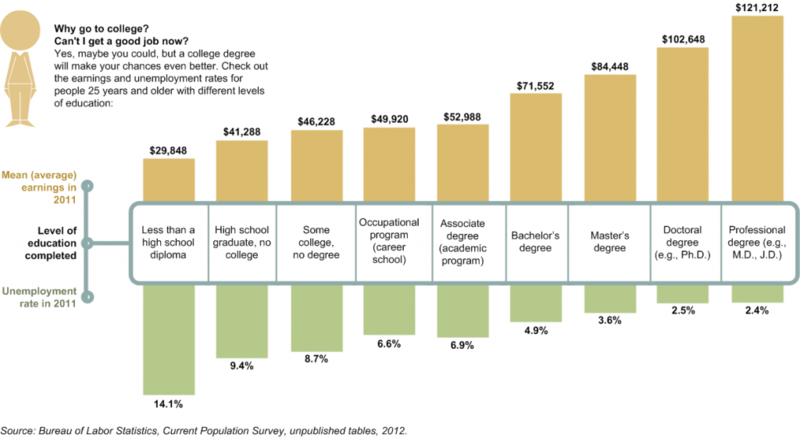 Admission rates at some of the most common “dream schools” are getting lower each year. 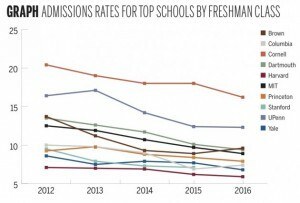 Even if you aren’t interested in one of the schools included in the above graph, it’s never been more challenging to get into the college of your choice. You must work hard, study hard, and stay focused on your dream school to ensure optimal consideration for admission. Bolstering Your Academic Profile – When it comes to admissions, academics are essential. Prove You’re a Well-Rounded Student – What’s a well-rounded student? That’s you, after you read our tips on how to make your application really stand out. Get Involved in Your Community – Your community can be an important asset in helping you get into your dream college. Show You’re a Hard Worker – Hard work pays off, and this couldn’t be more true when it comes to applying for college. 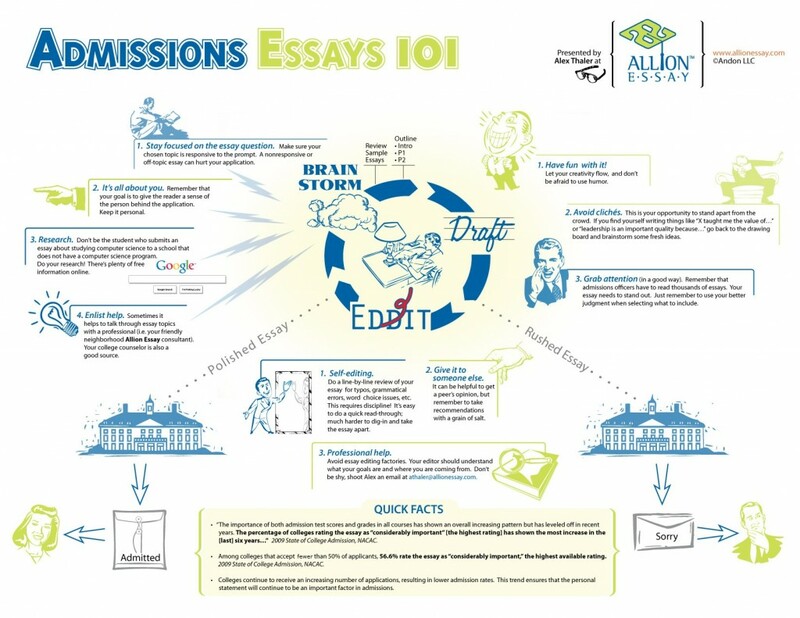 Write a Killer Admissions Essay – Your admissions essay is crucial in granting you the edge that you need to stand out among the other applicants. Get Glowing / Balanced Recommendations – Believe it or not, recommendations can make or break an application so make sure your letters are up to par. Get Plugged into Campus Early – The earlier you get involved, the better your chances of admissions will be. Go the Extra Mile – By putting in extra effort upfront, your chances of getting in only improve. Never Give Up – Motivation is key to getting into your dream college. 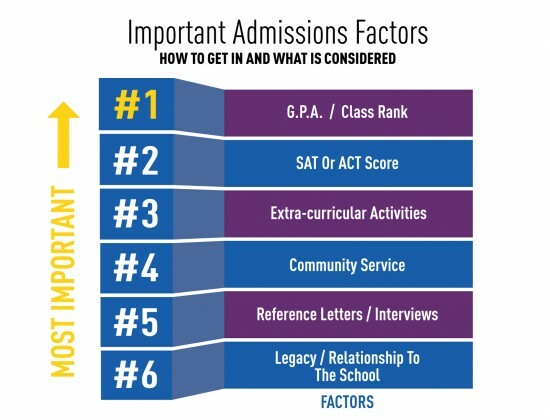 Let us share a few tips on how to stay on top of your admissions game. Part of your academic profile is comprised of test scores and grade-point averages (GPA). Many schools have specific GPA or test score requirements; therefore, it’s important to maintain a strong GPA and passing exam scores in order to be accepted into a good school. First things first. What is a GPA? A GPA is the sum of the unit value for each course multiplied by the numerical value of the grades. Sounds complicated, right? Let’s break it down. Your grade points are multiplied by the number of credits a course earned resulting in what is known as quality points: An A equals 4 points, a B equals 3 points, a C equals 2 points, and so forth. Keep in mind that not all schools grade the same way. In fact, not all schools do weighted GPAs the same or recognize an A+. An “A” might be the top grade. Do well on the SAT. – an aptitude test that measures intellectual ability. 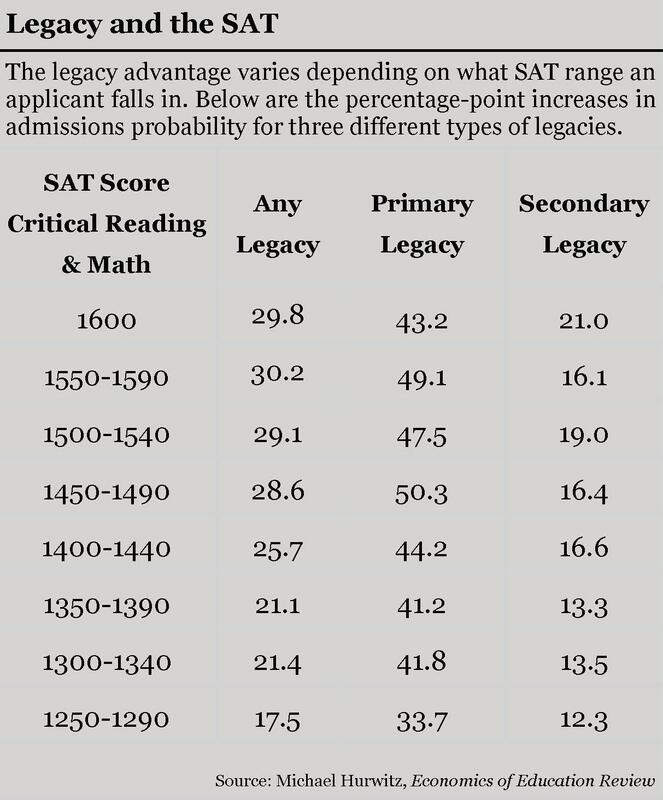 SAT scores are reported on a scale from 200-800, with additional subscores reported for the essay (ranging from 2-12). Do well on the ACT – an achievement test measuring what you have learned in school. 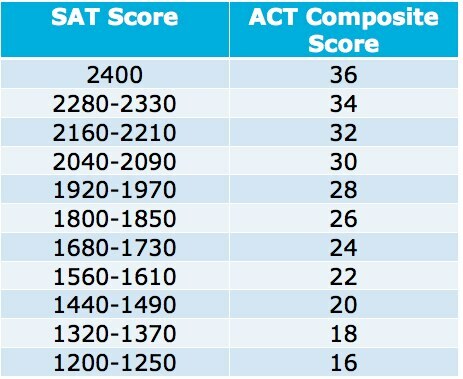 The ACT is scored differently from the SAT. ACT takers receive a composite score and each test score (English, Mathematics, Reading, Science). These scores range from 1 (low) to 36 (high). The composite score is the average of your four test scores, rounded to the nearest whole number. Get an SAT or ACT tutor if you need additional help. You can hire a local college student to help with studying or register for tutoring classes at a local test prep center. Get an SAT or ACT prep book and take practice tests. There are MANY different test prep guides out there so borrow as many as you can from your local library or check Amazon or other online book retailers for new or even used books to help you study. Enroll in a test prep class. Or, if you can’t a class, access the many useful test prep resources online. Your school might offer test prep services on the weekends so check with your guidance counselor to learn more. 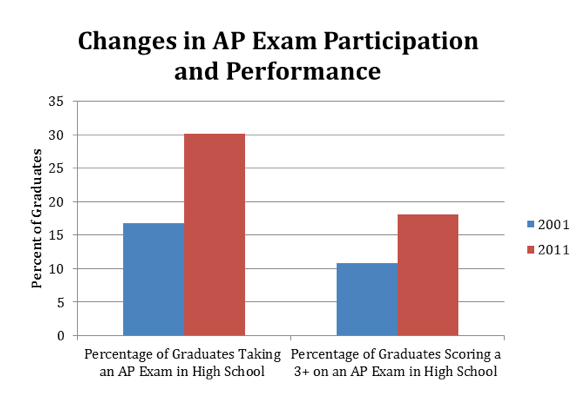 Take an Advanced Placement (AP) Test. 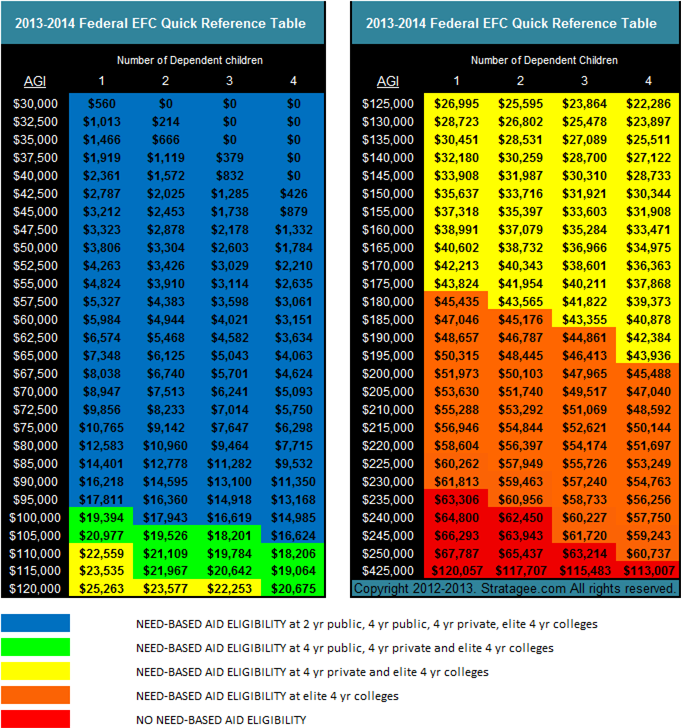 You can earn what’s called acceleration credits, or class credits, if you perform well on these exams. Maintain as high a GPA as possible. Again, studying hard is the best way to maintain a high GPA. And if you’re struggling, there’s help out there! Try to take honors classes that boost your GPA. An honors class is similar to an AP class in that both offer college-level course work and a GPA boost. However, an honors class does not prepare students for an AP exam. Enter academic competitions and join academic teams. There are quite a few, such as Mathletes, Interscholastic League, Odyssey of the Mind, writing and talent competitions, etc. Join National Honor Society or other legitimate academic societies. Colleges look for students who are motivated and strive to put forth their best effort. Joining an academic club shows a real commitment to your success. Colleges are all about well-rounded students, but what does well-rounded mean and how do you become one? A “well-rounded” student is one who is capable of excelling in his or her classes while also remaining involved in extra-curricular activities such as a sport, a club or an organization outside of school. In other words, good grades are just not enough, so what can you do that will spark interest in your application? There are many well-rounded students applying to college so you need to set your application apart from the others. Play a sport in high school. From football to badminton, there’s a sport for everyone. Playing a sport demonstrates time management skills, leadership qualities, and dedication. Try out for a school play, and while you’re at it, join the drama club. Participating in theater is an excellent way to become a confident presenter and communicator. And if you’re really good at it, maybe you’ll become a Thespian? Even with a serious case of stage fright, you can join the drama club as a stagehand or wardrobe assistant. Join the debate team or student council. These groups offer students an opportunity to be decision makers and to participate in governance. And for students interested in studying political science or going to law school, these clubs are great stepping stones for the future. Join a club or two…or five. Clubs are excellent way to stay focused and to gain experience working in groups. And clubs are fun! With so many to choose from (youth and government, yearbook, foreign language club, chess club, skateboarding club, etc. ), you’re bound to find something to keep you involved in extracurricular activities while meeting new people and stretching your mind. Create a club. If your school doesn’t have a club you’d like to be in…form it! Now, here is an opportunity to really demonstrate your leadership potential. For example, if your school does not have a foreign language club, start the club on your own with the support of a teacher and the student body. Does your school have a news/media team? Join it! Even if you’re not considering journalism as your major, joining the news/media team will give you the opportunity to learn awesome skills, such as video production, photography, and graphic design. Strong computer and tech skills will serve you well in college and beyond! Join the school choir. Again, even if your vocals aren’t great, you can still join the choir and get something out of it. 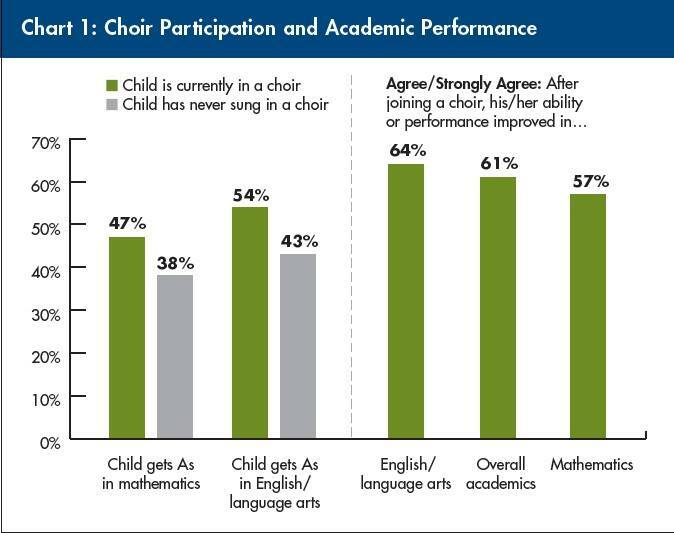 Choir encourages academic discipline and concentration (as illustrated in the graph below), and who knows, maybe your voice is better than you think? Take part in a school fundraiser. Many schools organize fundraisers to promote a variety of organizations, both in the school and the community. Here’s a chance to either organize a fundraiser for a local charity such as a food or clothing drive or participate in one sponsored by the study council or another club. Philanthropy feels good and looks good on college applications. Consider a foreign exchange program. If you can swing it, here’s an excellent opportunity to travel overseas. All the while, boosting your academic profile and confidence! Foreign exchange programs have been around a long time, and for good reason. These programs are a great source of enrichment and are often cost effective ways for students to see the world. Encourage your parents to host a foreign exchange student. Now, this might take a little convincing on your end, but if your parents are open to a house guest for a few months or an entire school year, hosting a foreign exchange student gives you the opportunity (and your family) to help another student learn to see the world differently. And who knows, you might even learn a second language while you’re at it! Organize a UNICEF Club. UNICEF provides emergency assistance to people in need, and by organizing a UNICEF Club, you’ll not only help thousands of children and their families receive the care they need, you’ll also learn how large organizations such as UNICEF operate. This will be great experience for students interested in studying social work, sociology, or education. Participate in the Rotary Youth Exchange. Rotary has been around for over 100 years, offering people the opportunity to serve their communities in a variety of ways. The Rotary Youth Exchange offers eligible students the opportunity to promote Rotary abroad while serving as a welcome port for visiting exchange students. Learn an instrument. Even if you didn’t participate in band or orchestra in elementary or middle school doesn’t mean you can’t pick up the trombone or violin in high school. Band and orchestra are open to all students at all levels. If you’re not sure how to get involved in your community, start by meeting with your guidance counselor for ideas. You can also look online, as there are plenty of volunteer sites that connect people with agencies and organizations across the globe, such as Idealist.org. Go on a mission trip. If you’re active in your church or youth group, a mission trip is a great environment to meet new people and to learn how to give back to your congregation and your community. Volunteer at a homeless shelter. Here’s an opportunity to really help those in need while gaining experience in the non-profit world. Homeless shelters often need volunteers of all ages to help prepare food, organize donations, and take inventory of supplies. If you can volunteer once a week or even once a month, you’ll provide a tremendous service to your community. Volunteer with Habitat for Humanity either locally or abroad. Habitat is an organization that builds homes for people in need. What’s great about volunteering with Habitat, in addition to helping others, you learn carpentry and work-site skills that transition into diverse situations, both academically and socially. Join Boy Scouts or Girl Scouts. Boy Scouts is one of the largest youth organizations in the country. You can become a Boy Scout if you are 11 through 17 years of age. Girl Scouts starts at age five and goes to age 17. Become an Eagle Scout. In order to become an Eagle Scout, you must meet certain criteria established by The Boy Scouts of America. Eagle Scouts are often eligible for specific scholarships and education awards. Join the American Red Cross. 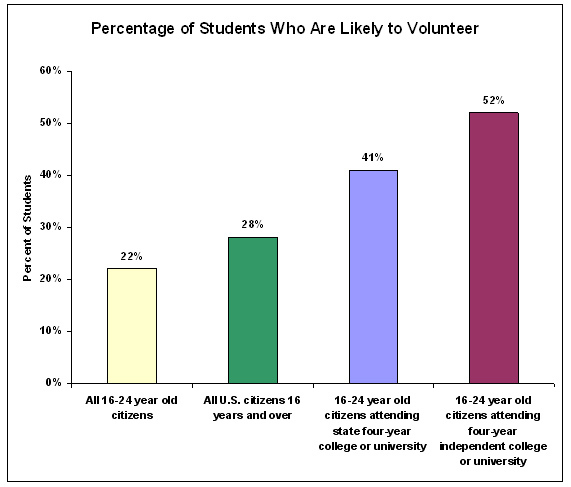 The American Red Cross is an international movement that offers a youth program and many other opportunities that encourage volunteering and civic duty. Coach a youth sports team. Even if you’re not the athletic type (but maybe your best friend is and needs an assistant), you can coach or help coach a youth sports team. Check the YMCA and your local park district for volunteer opportunities. Support your local animal shelter by walking dogs or fostering. If you’re an animal lover, why not support your local shelter by walking dogs or fostering a needy pup or kitten? There are many animals in need of care, and by volunteering at your local shelter, you’ll be helping find permanent homes for many displaced animals. We can’t stress enough the importance of volunteering and getting involved in your community. Why? 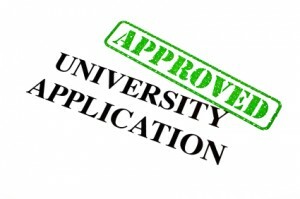 It’s a leading factor in determining admissions, and you want to go to your dream school right? As if going to school and volunteering weren’t enough, colleges also look for students with real-world experience and a passion to expand learning outside the classroom. A part-time job, summer employment, volunteering, extracurricular activities, and other outside-of-the-classroom activities demonstrate your ability to take initiative and adjust priorities. If you can handle all of the above while going to school and maintaining a high GPA, colleges will take notice. Learn a trade such as wood carving, landscaping, carpentry, sewing, culinary arts, pottery, etc. Sounds a little unusual, right? Again, taking the time to learn a new skill, either as an apprentice or in any other capacity, demonstrates a desire to learn something new and possibly achieve something bigger. Take martial arts or yoga classes. Both activities are great stress relievers and are known to increase confidence and vigilance. Honing these skills will help you stay focused during your college readiness exams, ultimately improving your scores and impressing the admissions board. Participate in a music competition with your local college or university. If you play an instrument, why not sign up for competition at college or university in your area? This will look great on your application, and you might meet a judge or program director that can help with a letter of recommendation. Work at a summer camp or city recreation program. While it’s tempting to take summers off to relax by the pool, getting a summer job at a camp or with a city recreation program is a great way to make money, meet new people, and show the college of your dreams that you’re a hard worker and have your priorities firmly in order. Go to private school? Do a work-study program. Here’s a chance to work while you go to school, possibly earning college credit or tuition reimbursement, if attending a private school. Study hard. You’ll hear this time and time again. Parents, teachers, and even college admissions representatives will tell you that the more you study, the better your chances of getting into your dream school. 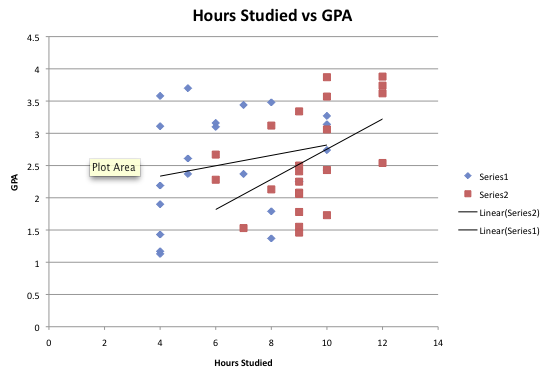 Additionally, data shows that GPA increases with the more hours spent studying. Since grades are so critical to college admissions, show you’re a hard worker by committing to your studies! Carefully consider how to answer essay questions. Before you even put paper to pen, make sure you understand that is being asked of you. Take the time to carefully deliberate what you want to say and how you want to say it. This will save you time and possibly a few rewrites. Consider ways to distinguish yourself from the thousands of other applicants. Here’s the tricky part – striking the right balance between professionalism and personalization. You don’t want submit an essay that doesn’t stand out, but at the same time, you don’t want to submit that is completely irrelevant. Bottom line – you want to answer the question and be honest! Brainstorm ideas. Again, take some time to really consider what is being asked of you before you start writing. This is a very important step, as it helps to streamline the writing process and organize your thoughts. Review ideas with your guidance counselor or a teacher. Run your ideas by a guidance counselor, a teacher, or anyone who can give you solid feedback. Keep a notebook of your ideas and jot down suggestions so you can go back and revise accordingly. Write first drafts. Now, it’s time to start writing. With all the feedback received from your counselor and teachers, spend a good chunk of time writing a first draft, making sure to answer the essay question as best possible. Draw from all your personal experiences – always write from the heart! This is most important. Your admissions essay is about you and what you are capable of. If you write from the heart, rather than trying to write something that you think the admissions board will like, it will show. Ask for feedback from parents, teachers, counselors, friends, etc. Now that you have a first draft, ask a few trusted individuals to give you feedback. Make sure to provide them with the topic and any specific writing guidelines provided by the college so your readers know exactly what to expect. Edit, edit, edit. Based on the feedback you received, it’s time to edit and edit again. This step in the writing process is the most crucial and also the most time-consuming. So expect to spend a day or two revising and rewriting. Ask for more feedback from parents, teachers, counselors, and friends after revising. Once you have a solid second draft, ask for more feedback. You’ll want the same people from the first round of edits to reread your essay as well as a few new individuals. This way you get feedback from varied sources. Edit again. Yep, time to edit again! This final step is absolutely essential for catching any typos that can make or break your essay. Many colleges will require you to submit letters of recommendation, either from a prior or current instructor, an employer, a counselor, or all of the above. A letter of recommendation is another selection tool that helps the admissions board learn more about you and what you can bring to the school. Choose carefully who to ask for letters of recommendation. What teacher or teachers know you best? (Most schools will require at least one letter from a teacher.) No matter who you ask, make sure the person knows you well and can speak on your behalf and represent you well. And if your recommender(s) need a little guidance, a few tips and tricks are available online. Provide your recommenders with adequate information. Before you even approach a teacher or a counselor, make sure you have all the paperwork and writing guidelines organized and ready to hand over, if they accept your request. 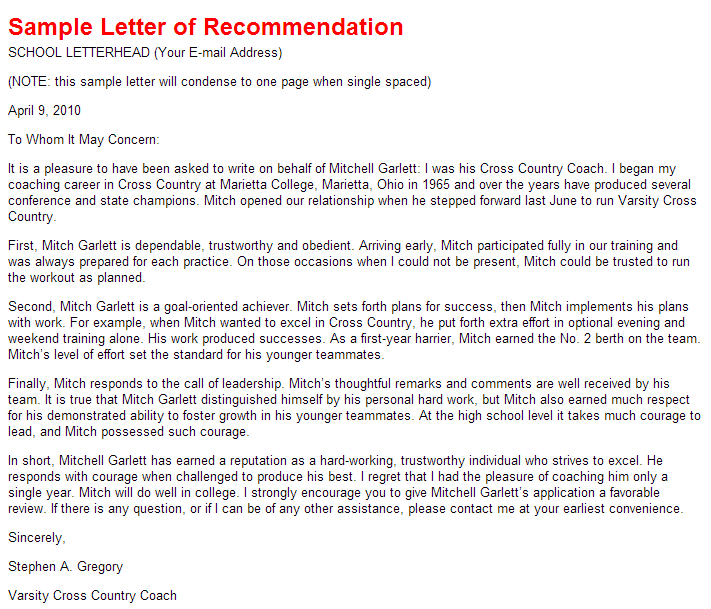 Give your recommenders ample time to write your letter. A strong letter takes time to write so don’t wait until the last minute to submit your request; they will thank you for it! (Also, your recommenders, especially teachers, will undoubtedly be asked by other students to write a letter of recommendation. With that in mind, give ample notice and have a backup if necessary. Why wait? Get plugged into campus life as early as possible in order to become acquainted with your potential colleagues and instructors and to get your name and face out there. This visit can also serve as inspiration for your college essay! 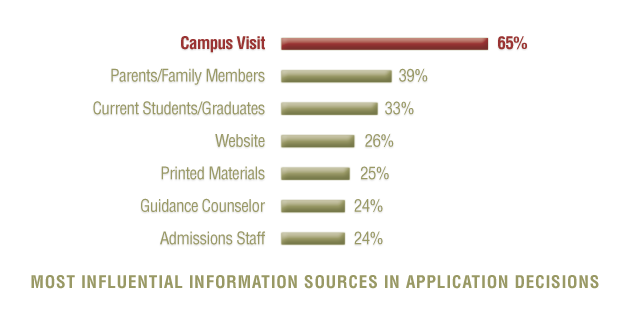 Schedule a campus tour at a variety of different schools of interest. Take the summer to visit a number of different campuses to learn as much as possible about what the school has to offer. Try to stay overnight before even applying. Consider staying in the dorms with a freshman or a sophomore majoring in your area of interest. This is a chance to experience what college life is all about! Get to know some professors if possible. Here’s an opportunity to really get a leg up on the competition. Meeting a professor or two will serve two purposes: Help you get a sense of what you can expect from your instructors as well as provide material for an admissions essay or even a letter of recommendation. Enroll in a summer writing or reading course. Many colleges offer summer writing and reading courses to incoming freshman as well as prospective students. If possible, sign up for a few. Taking the initiative looks great on your application and you’ll boost your reading and writing skills while you’re at it. Speak with admissions counselors about the application process and selection criteria. College websites are usually very helpful when it comes to finding information about the admissions process, but sometimes a phone call or a meeting with a counselor will help you prepare all the required application materials to ensure that these are processed in a timely fashion. Consider an admissions service. 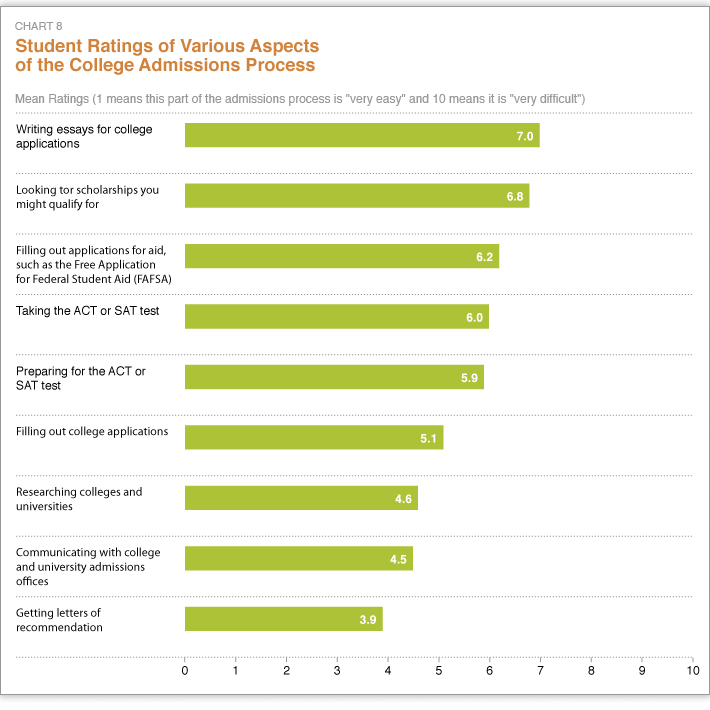 College admissions counseling services exist to help students submit stellar applications. Focus on where your application might be weak. Does your admissions essay need more work? Could your application benefit from one more letter of recommendation, if an option? Before you submit your application, do a thorough review of all your materials to ensure you’re submitting the BEST application possible. How Can I Stay Organized During the College Application Process? Try to get on the waitlist. Okay, so you didn’t get in, but there’s another possibility: a college may put you on a waiting list. This isn’t a bad thing. If a spot becomes available later on, you may be offered a place. And if you are wait-listed, be proactive. Contact the admissions office how the list is ranked (priority list? ), and in the meantime, write a letter to the admissions office to help your case and continue to study hard and stay involved. Contact an admissions representative to get feedback on your application. Sometimes an admissions representative can tell you why you didn’t get it. Test scores, your essay, missing documentation, typos—it’s important to know what prevented your acceptance and how to avoid application mistakes in the future. If it’s your test score, take it again and reapply if possible. Apply for a transfer if you didn’t get in. A rejection letter isn’t the end all be all. In fact, you can still get in by applying for a transfer after attending another school for a year. This is an opportunity to really show your dream college what you’re made of by getting top grades and taking part in extra-curricular activities. Review your list of colleges carefully. Take some time to really scrutinize your list of schools to ensure your goals align with theirs. Remember, the best college for you is the one that fits you best. If your application was rejected, perhaps the school didn’t offer exactly what you really needed. Getting into your dream college will take effort and a lot of hard work on your part. 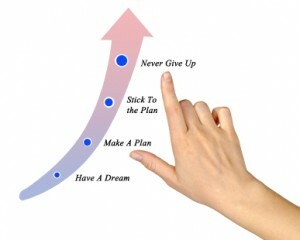 But the hard work will ultimately pay off by following the steps we outlined above. And the earlier you start preparing yourself for the college admissions process, the better your chances will be of getting into the school at the top of your list. In fact, you can start as early as your freshman year by joining clubs, sports teams, and of course, by studying hard and getting good grades! You’ll be happy you did when your letter of acceptance arrives in the mail.